Traveller Mugs from Where The Trade Buys’ promotional print product collection provide a brilliant way of keeping your branding front and centre on the move, thanks to their massive lifespan. 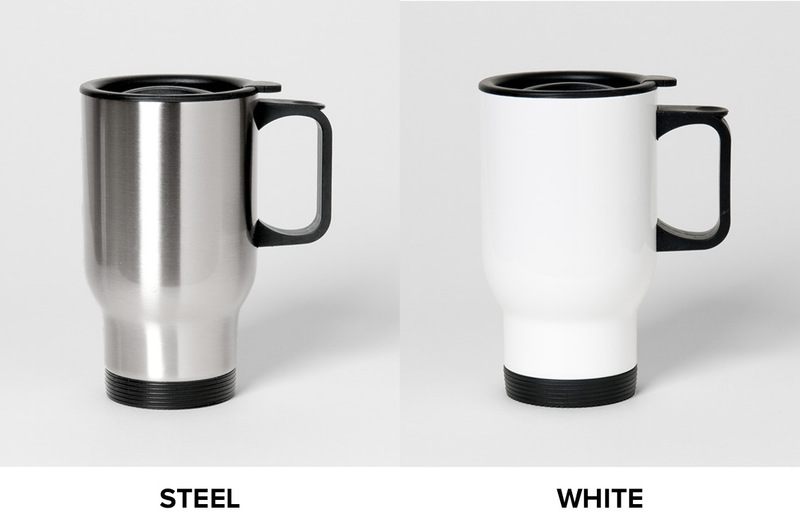 Not only do our travel coffee cups look great, they’re also practical too. They’ve been designed to be thermal and leak proof, perfect for carrying to work or to networking events. Customise your travel mug with your business logo or slogan and get your message seen by more! Our design-your-own 15oz mugs with handles are ideal for keeping drinks warm thanks to their insulated inner and are great for promotional events, giveaways and personalised gifts. Available in a silver or white stainless steel finish. For other office-appropriate branded products, check out our coffee mugs and postcards .